Equipped to the teeth. 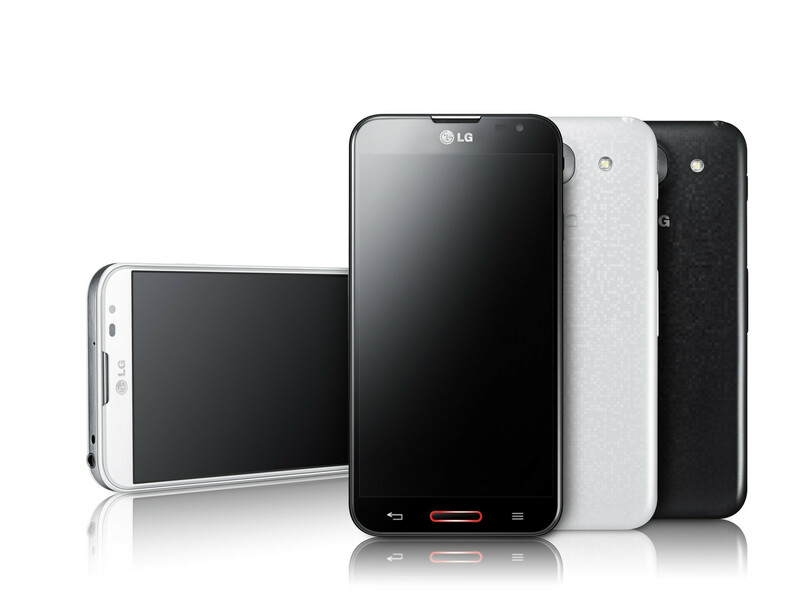 LG launches a new premium smartphone dubbed Optimus G Pro E986 that features impressive equipment. The smartphone's configuration, comprised of a quad-core Snapdragon 600, an LTE module, a 5.5-inch Full HD screen and 16 GB of storage, is to give the competition the shivers. The Optimus G Pro E986 enters the race as a new premium model from the Optimus series. It presents itself as a genuine top of the range smartphone with the corresponding features. The configuration and performance of the Optimus G Pro E986 has been enhanced once more compared with the 4.7-inch LG Optimus G E975. The most obvious difference is the 5.5-inch LC-Display that offers a Full HD resolution with 1920x1080 pixels, which the Optimus G E975 did not feature. Besides the much larger touchscreen, LG installs a fast 1.7 GHz Snapdragon 600 from Qualcomm, which works with 4 computing cores and 2 GB of working memory. Other assets are a strong, 3140 mAh capacity battery, 16 GB of storage and a Full HD primary camera with a resolution of 13 megapixels. 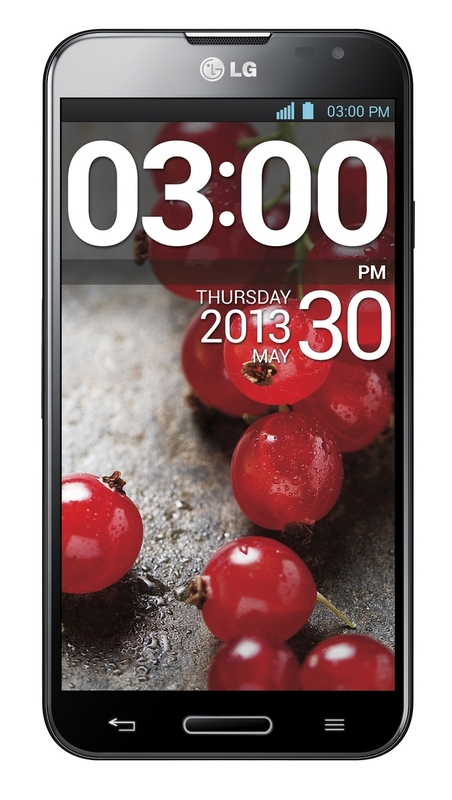 The Optimus G Pro E986 features a big 5.5-inch LC-Display. As befitting for a premium smartphone, LG gives the Optimus G Pro E986 an elegant exterior that is not extraordinary at first glance. 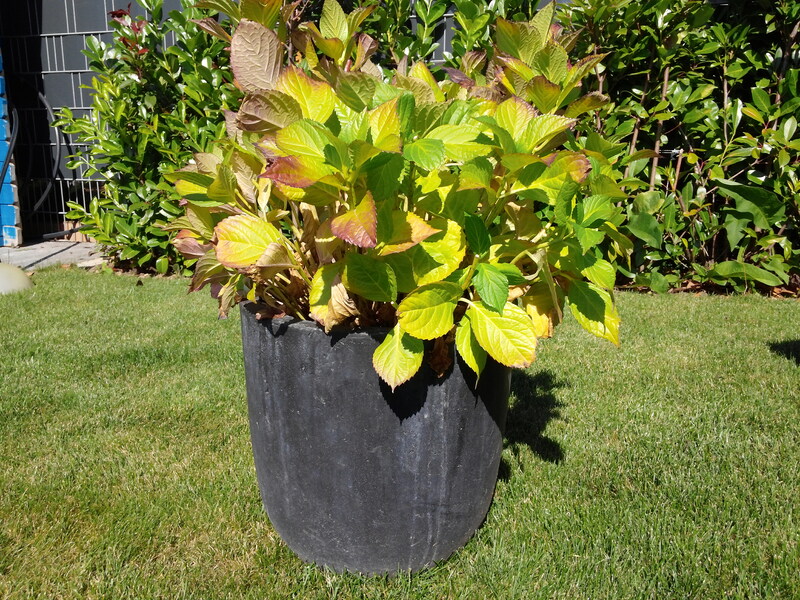 Its qualities first become obvious when looking closer. Matching that, LG uses conservative colors for the smartphone. A black or a white casing are available. The polycarbonate casing with rounded edges features a high-quality build, has a size of 150.3 x 76.0 x 9.4 mm and weighs 172 grams. Although the Optimus G Pro E986 will not fit in every jeans pocket, it can be easily stored in a jacket pocket. The smartphone deserves praise for its extreme rigidness. Despite its 5.5-inch, seamlessly inserted screen, the casing does not warp or even produce cracking or other noises of objection even under higher pressure. Only the removable back cover can be dented to a slight degree. LG's Optimus G Pro E986 is powered by Qualcomm's high-end Snapdragon 600 APQ8064T SoC and thus has a mighty performance foundation. Besides the review sample, HTC's One and Samsung's Galaxy S4 Active rely on this CPU/GPU array. The SoC is built in a structure width of 28 nanometers and features 4 CPU cores that clock with 1.7 GHz. The Snapdragon 600 APQ8064T is supported by an Adreno 320 graphic processor alongside 2048 MB of RAM. 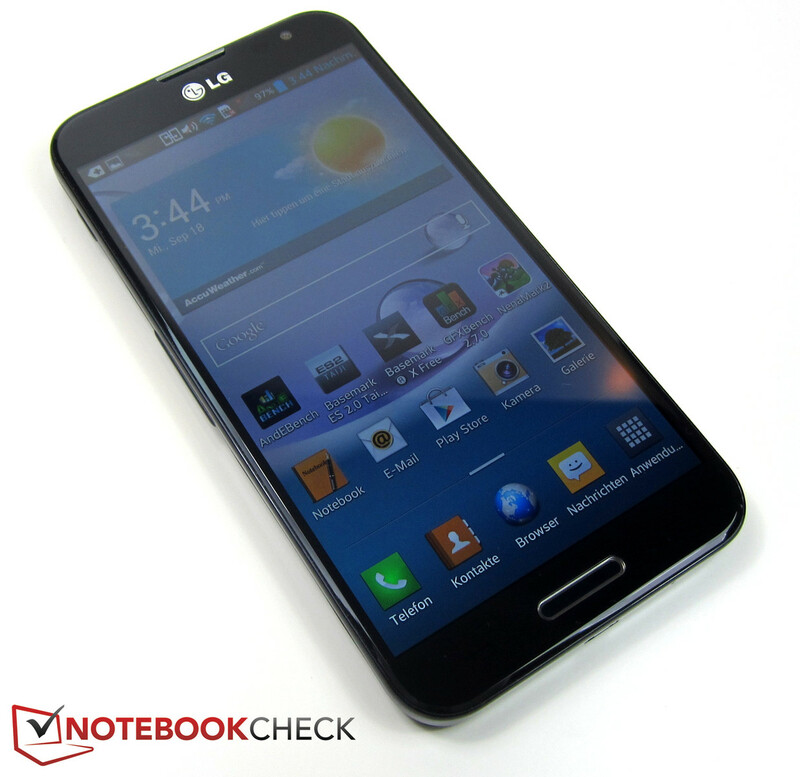 LG furnishes the Optimus G Pro E986 with 16 GB of storage. Although the required space for the Android OS and preinstalled apps has to be deducted from that, the user still has 10 GB left after first use. Should this storage capacity get tight, the smartphone's storage capacity can be expanded by an additional 64 GB via the integrated micro-SD card reader after removing the back cover. The somewhat older Android version 4.1.2 is installed on the Optimus G Pro E986 and thus lags behind other premium models such as Google's Nexus 4. 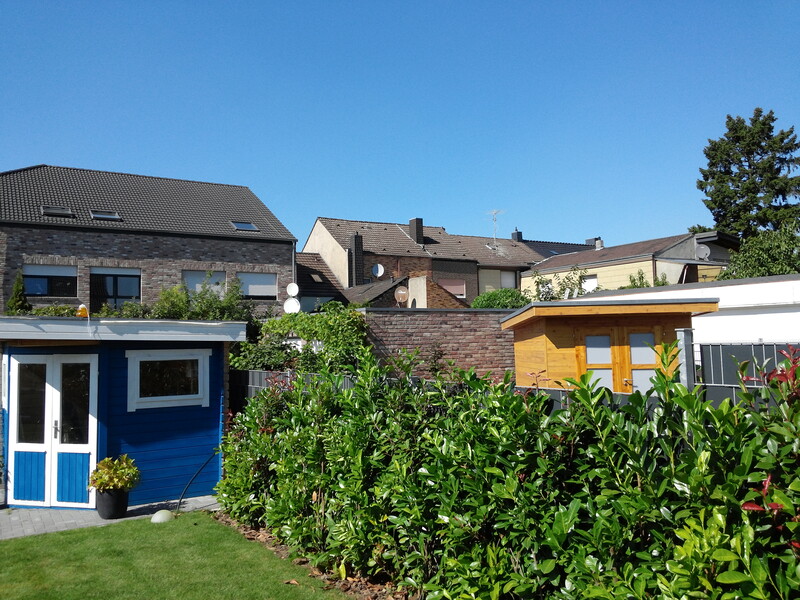 Like the former Optimus G Pro E975, the review sample uses the S-Class launcher that includes a few visible modifications, such as the lens effect when switching from the lockscreen to the main menu. 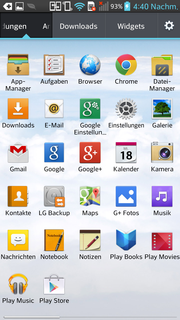 An app called QuickMemo is also installed and can be opened via the status bar. It enables inputting and saving notes directly with the finger. LG focuses on office applications in terms of installed software. Consequently, a file and app manager is just as available as a scheduler, the LG Backup tool and Polaris Office 4 office suite. 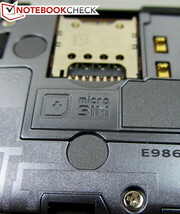 A Wi-Fi module belongs to the standard equipment of every modern smartphone and the Optimus G Pro E986 is no exception. The review sample transmits and receives data via Wi-Fi 802.11 a/b/g/n. Bluetooth 4.0 is also available and it supports NFC. The other communication features do not leave much to be desired either. In addition to the GSM quad-band (850/900/1800/1900 MHz) and UMTS quad-band (850/900/1900/2600 MHz), the Optimus G Pro also enables wireless connections via LTE (800/1800/2600 MHz). LTE download speeds of up to 100 Mbit/s and upload speeds of a still impressive 50 Mbit/s are possible with a corresponding mobile plan. 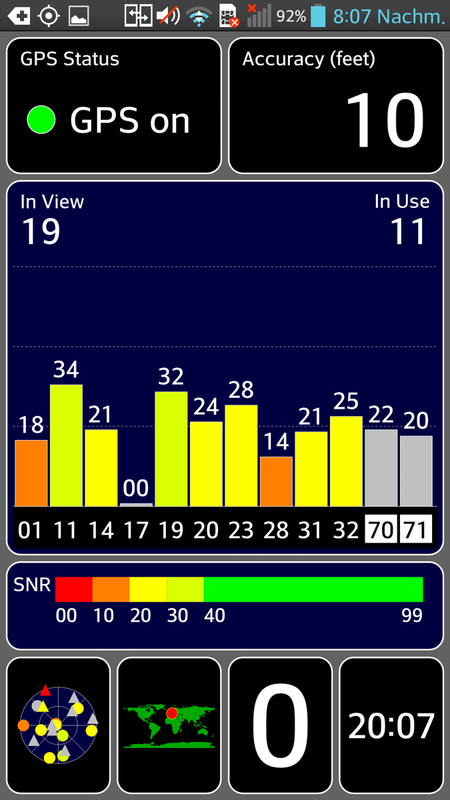 The maximum UMTS data rate is 42 Mbit/s (HSPA+). The installed GPS module leaves us with mixed feelings. The smartphone only accomplished a rather imprecise position fixing indoors. 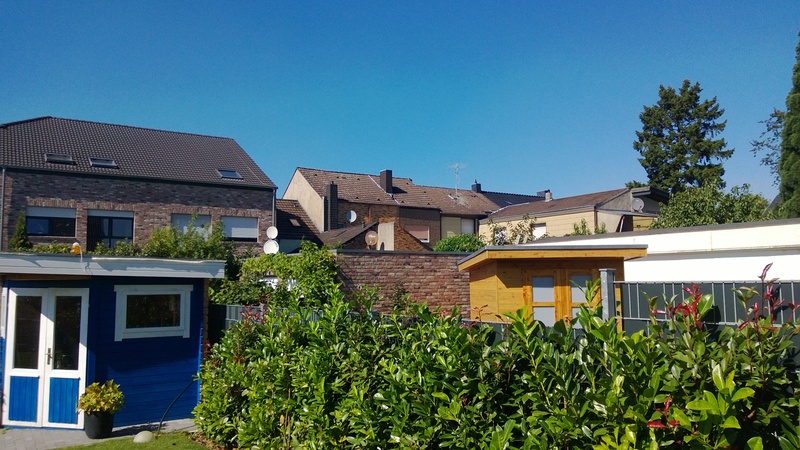 However, the GPS module quickly provided an accurate localization and maintained this accuracy even during further usage outdoors. The Optimus G Pro E986's phone features are almost forgotten in view of the extensive configuration. However, that would be too bad because the smartphone also convinces in this point. 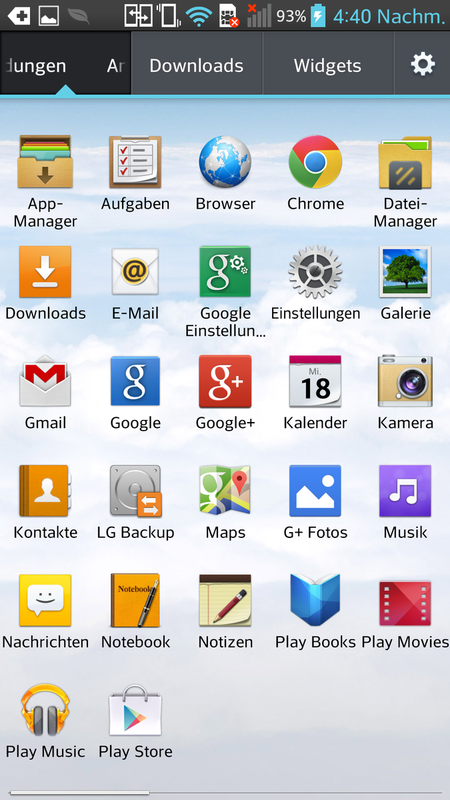 The installed phone app can be opened directly on the homescreen and scores with a very simple usage. Also, the volume and speech quality during calls to other mobile networks and landlines were compelling. Background noises were almost inaudible or insignificantly low. 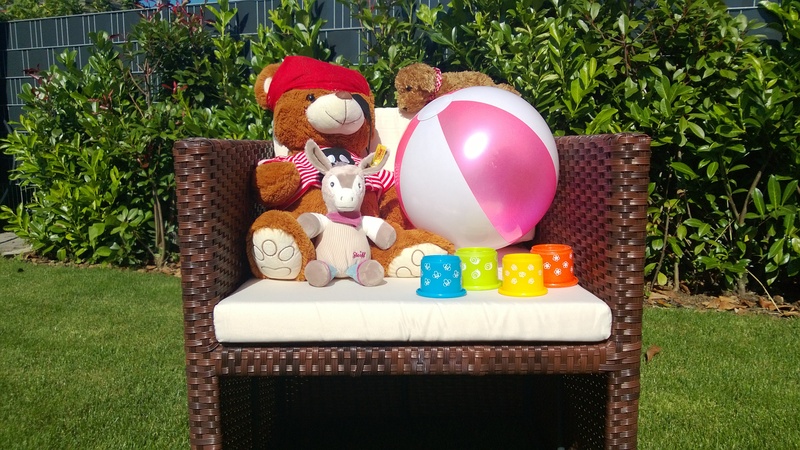 The camera specs of the Optimus G Pro 986 are impressive to read. The primary camera on the casing's back has a resolution of up to 13 megapixels (4160x3120 pixels) and features an LED flash. The front-facing webcam is satisfied with 2 megapixels but manages a Full HD resolution of 1920x1080 pixels anyway. Both cameras can also record videos in Full HD. In practice, the review sample's cameras exhibited a few shortcomings. Apparently LG installs the same units as in the Optimus G E975. The primary camera's picture quality is overall decent but the Optimus G Pro E986 cannot compete with other premium devices when it comes to reproducing details. The taken pictures look darker than on the reference pictures and can thus only offer moderate contrasts. Furthermore, a visible noise quickly becomes apparent on indoor scenes even without zooming. 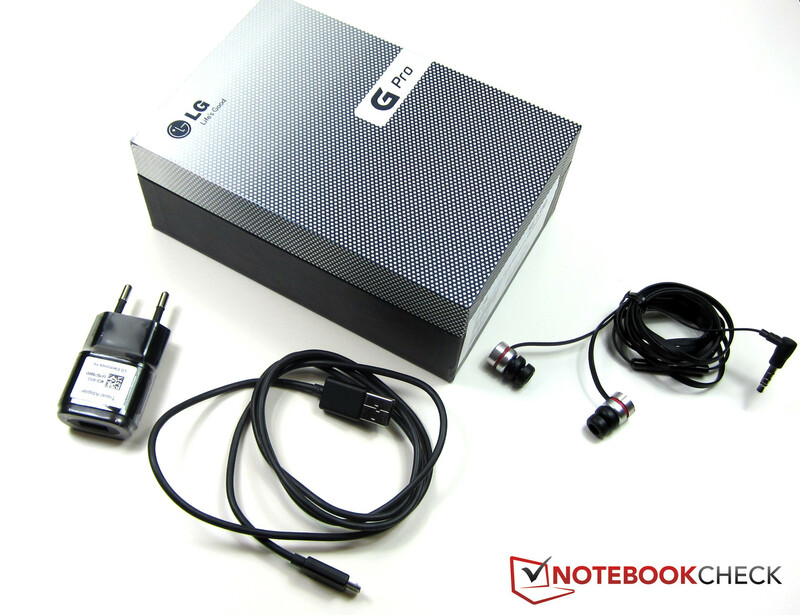 LG includes a modular power supply, a micro-USB cord and an in-ear headphone for its Optimus G Pro E986. The manufacturer offers various accessories on its website, for example a portable battery, a portable printer and a Bluetooth headset. The accessories are not specifically made for the review sample but can generally be used with all current LG smartphones. 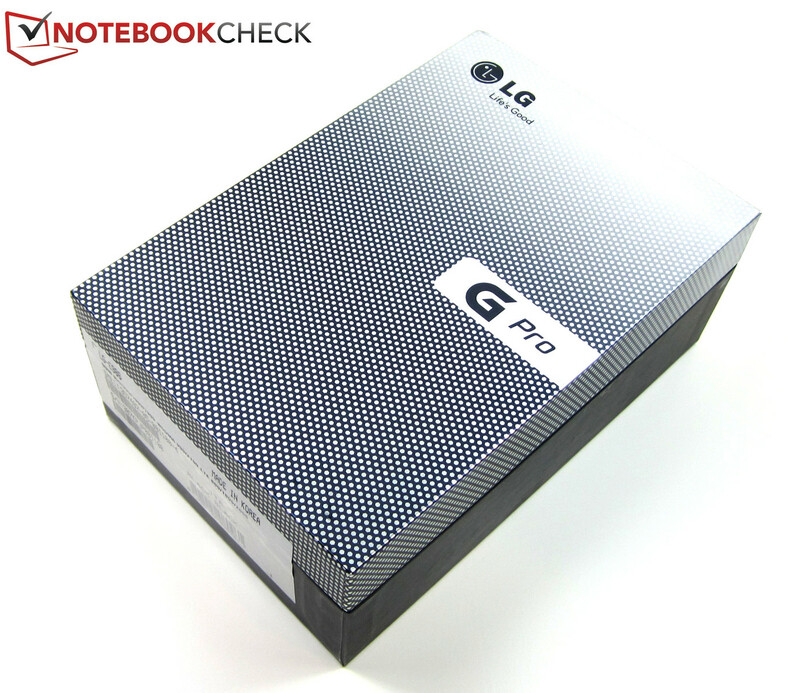 LG's Optimus G Pro E986 comes with a 24 month warranty. This period does not cover the entire product because one wearing part is categorically excluded: The manufacturer only includes a 6 month warranty on the battery. The virtual keyboard in landscape mode. 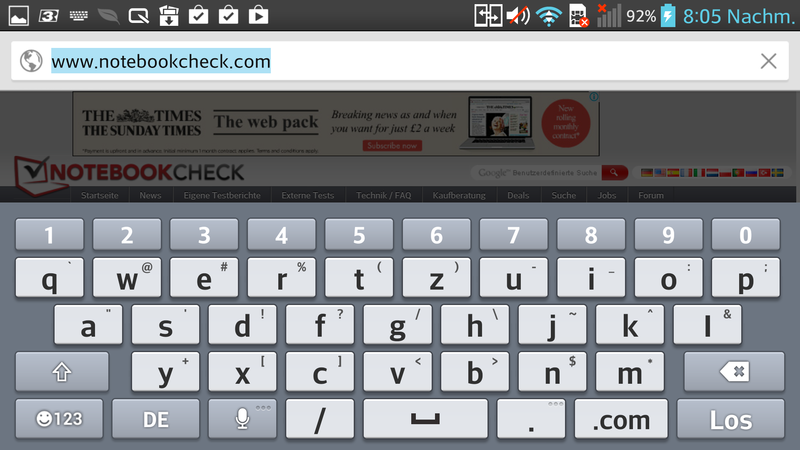 The virtual keyboard contributes to the very pleasant usage of the Optimus G Pro E986. The keys feature a sufficient size in portrait mode. Rotating the smartphone's screen to landscape mode is more comfortable for prolific typists or users with "fat finger" syndrome. Although the keyboard uses over half the screen, the keys are even bigger. The additional number row with the digits 0 to 9, which is displayed above the letter field, is handy. 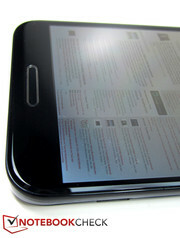 The screen is a vital feature for a smartphone. It literally shows just how much effort the manufacturer invested in this part at first glance. LG did not make compromises and installs a Full HD IPS+ color display in its Optimus G Pro E986. 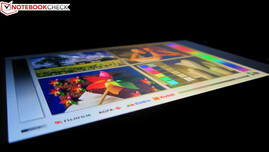 It can reproduce up to 16.7 million colors and displays content razor-sharp with 1920x1080 pixels. 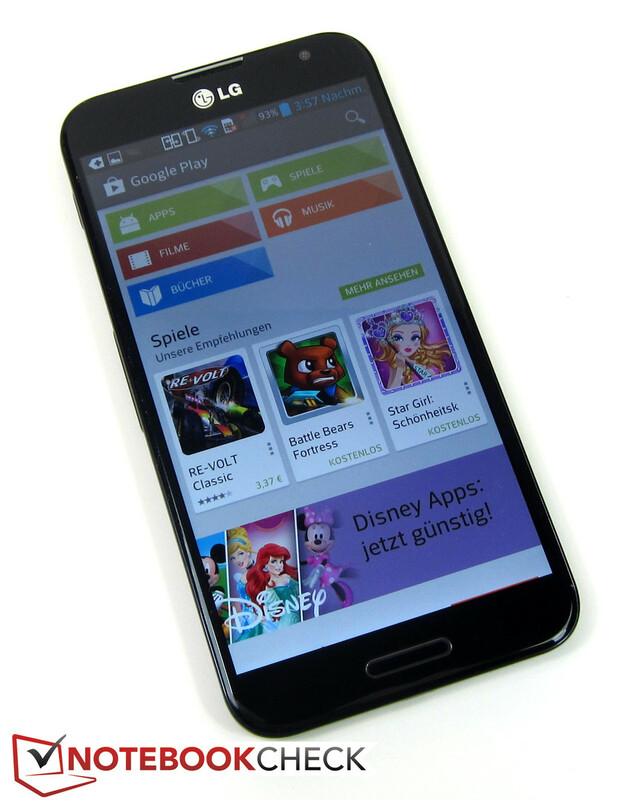 Other premium smartphones also feature an HD resolution, such as HTC's One and Samsung's Galaxy S4 Active. 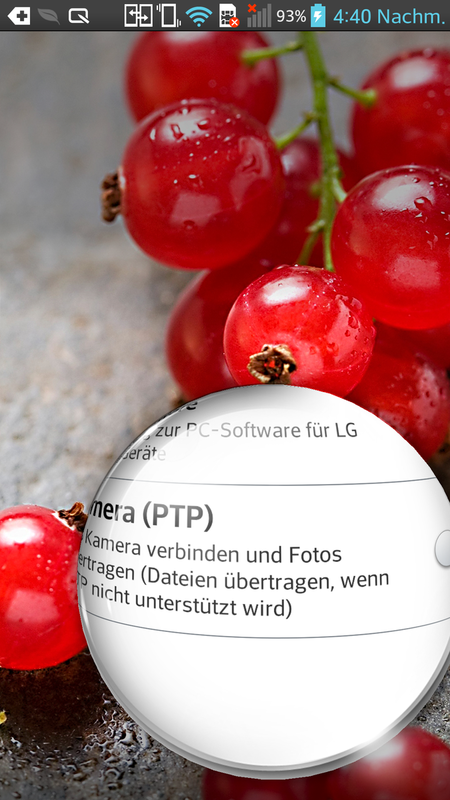 LG's Optimus G Pro E986 supplies a decent result with an average brightness of 386.2 cd/m² and is within a field that can be expected from a smartphone from this price range. However, the LG does not come close to the brightness of HTC's One (488.9 cd/m²) or Samsung's Galaxy S4 Active (423.5 cd/m²). 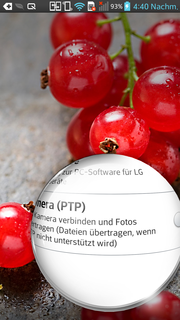 Sony's Xperia SP (389.3 cd/m²) and LG's Optimus G E975 roughly offer the same brightness. The screen's rather uneven illumination is a minus point. The Optimus G Pro E986 clearly is in last place with a poor rate of just 73%. 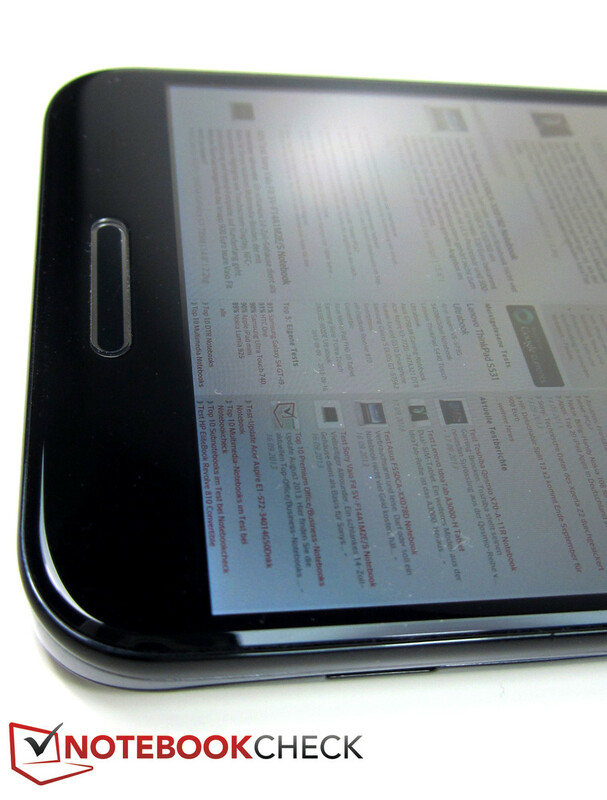 LG's Optimus G E975 does a better job here with an illumination of 86%. The other smartphones are significantly better. 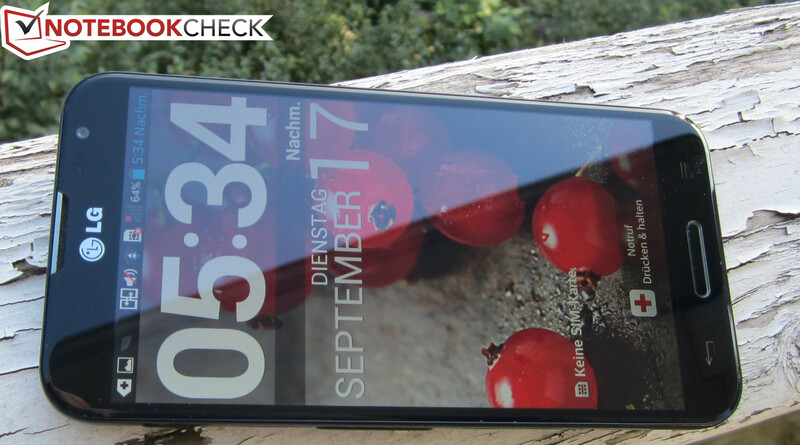 Samsung's Galaxy S4 Active is the best phone in this category with an illumination of 96%. 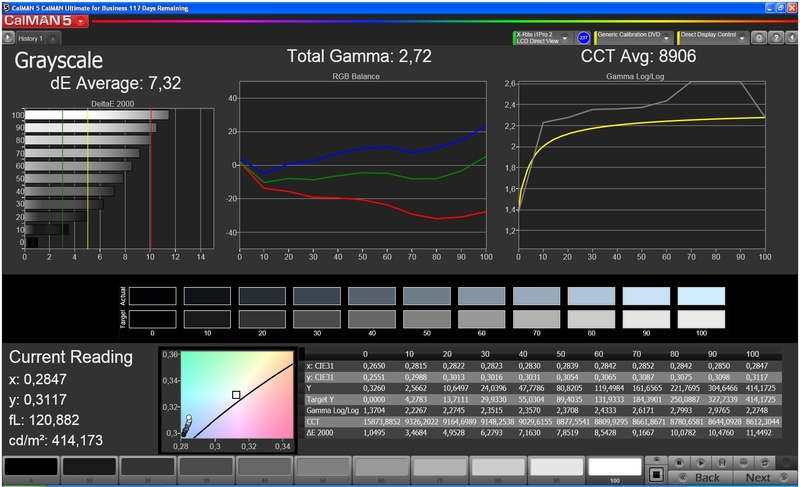 However, the contrast ratio of 857:1 and the black value of 0.49 cd/m² are good rates. 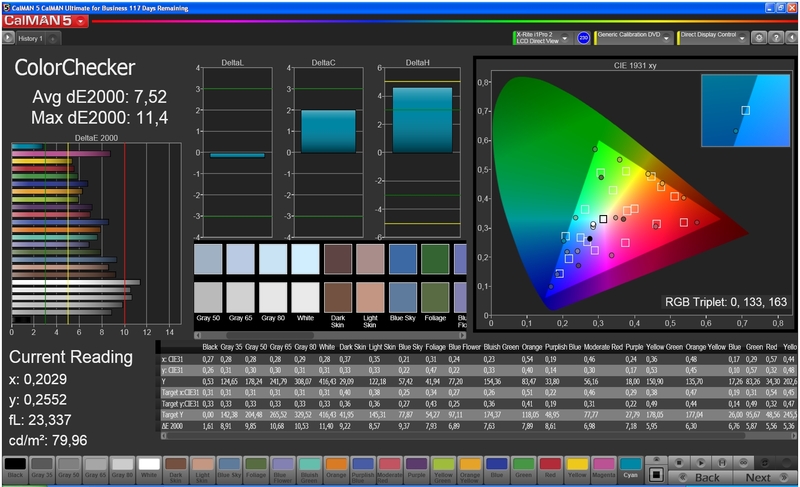 Our assessments using CalMAN 5 software show how good or bad the color accuracy, color reproduction, color saturation and grayscale reproduction are. 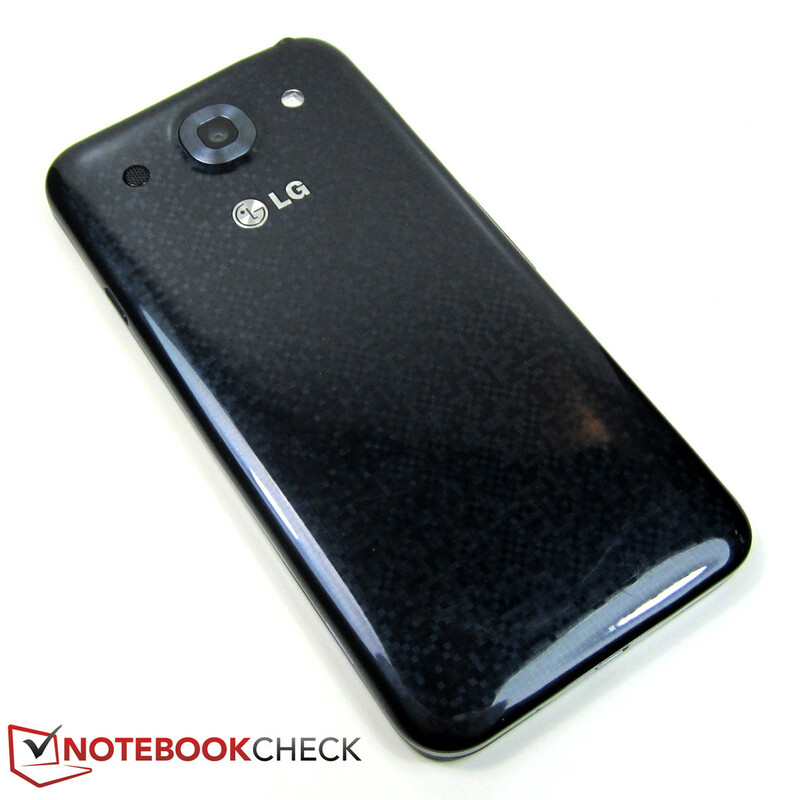 LG's Optimus G Pro E986 exhibits a too strong blue but too pale red colors. 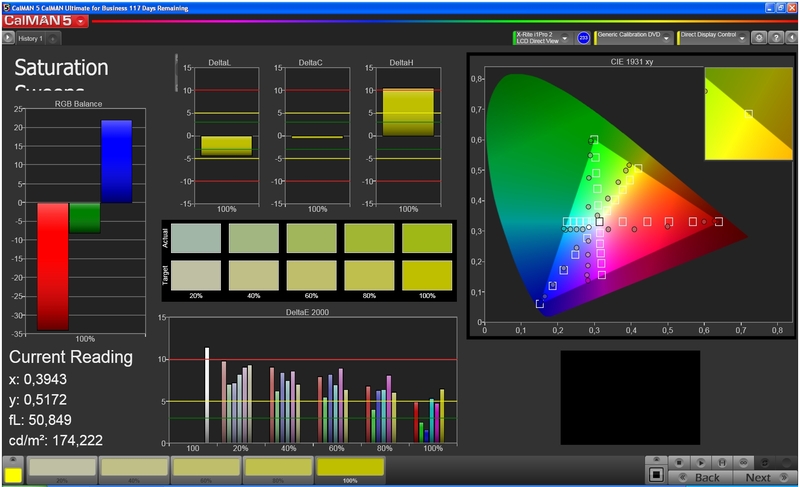 The screen clearly deviates from the ideal rates of the RGB color space in the measurements with an average DeltaE rate of 7.53. This is continued in the grayscale reproduction (DeltaE: 7.32). 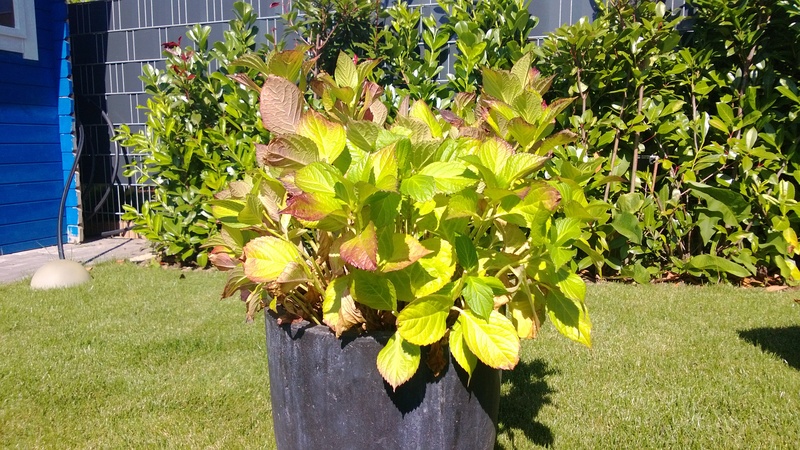 Seen subjectively, this imperfect color reproduction is not noticed. 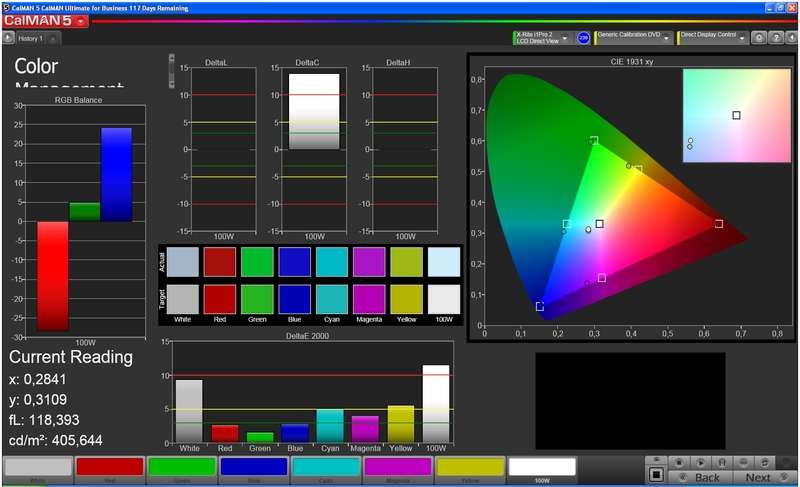 All displayed content is always displayed in rich, natural-looking colors and never seems falsified. The high contrast and the above-average brightness of the LC-Display easily allow using the Optimus G Pro E986 outdoors. The screen's glare surface could only ruin any such plans when sunlight directly hits the screen and the content consequently becomes almost illegible. 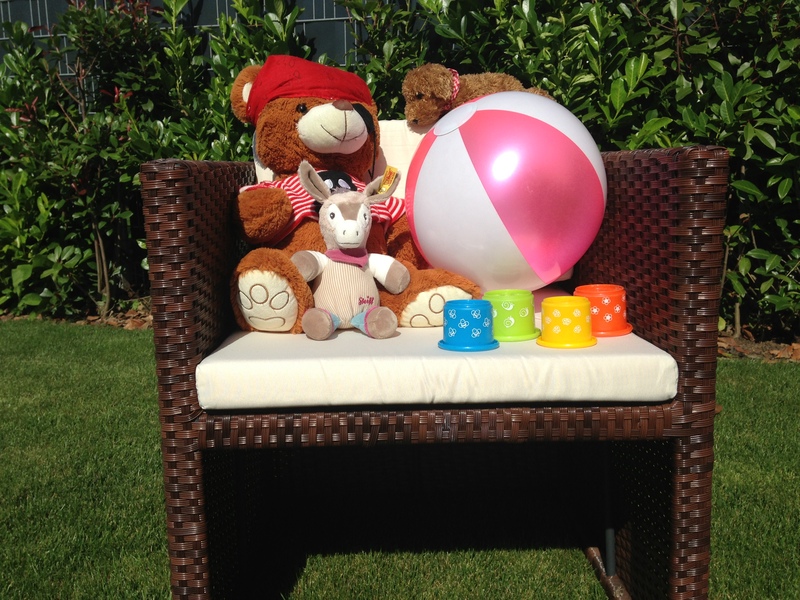 But since this inconvenience can simply be remedied by turning the smartphone a bit, it is all thumbs up for outdoor suitability. The Optimus G Pro E986 reaps in an equally good rating in the next test category. The IPS+ color display provides outstanding viewing angle stability for construction-related reasons and convinces with a stable contrast even from extreme side views. Only the brightness decreases a bit early but remains constant up to very narrow viewing angles then. LG's smartphone is powered by Qualcomm's high-end Snapdragon 600 APQ8064T alongside the Adreno 320 graphics processor and 2048 MB of RAM. This should actually prevent any performance bottlenecks. We sent the Optimus G Pro E986 through our exhaustive benchmark course to test this. The Optimus G Pro E986 is on a par with the premium contenders in the synthetic benchmarks. The majority of the compared phones are based on the same or at least a very similar CPU/GPU configuration. Depending on the test, sometimes one or the other device takes the lead but none stand out decisively or accomplish a clear advantage on the whole. Bigger differences are seen in the browser benchmarks. LG's Optimus G Pro E986 is almost always in the lead here and wrestles for the performance crown with HTC's One, Samsung's Galaxy S4 Active and Sony's Xperia SP. LG's Optimus G E975 and Nokia's Lumia 925 fall behind the three leaders marginally, which Google's V8 ver. 7 very clearly illustrates. However, Mozilla Kraken is the territory of Nokia's Lumia 925 and the contenders do not stand a chance here. Owing to a swift memory bus, the Optimus G Pro E986 also exhibits a good performance in the read and write rates and is on a par with Samsung's Galaxy S4 Active that achieves the overall highest data rate. The review sample only takes last place in the sequential write speed and has to allow HTC's One, LG's Optimus G E975 and Samsung's Galaxy S4 Active to pull ahead. 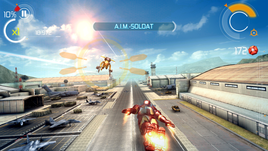 The Optimus G Pro E986 virtually passes every gaming and multimedia obstacle without stuttering owing to its powerful combination of quad-core processor and Adreno 320 GPU. Classics like Angry Birds, Plants vs. Zombies and Fruit Ninja run just as smoothly as more current games that place a much higher demand on smartphone hardware. 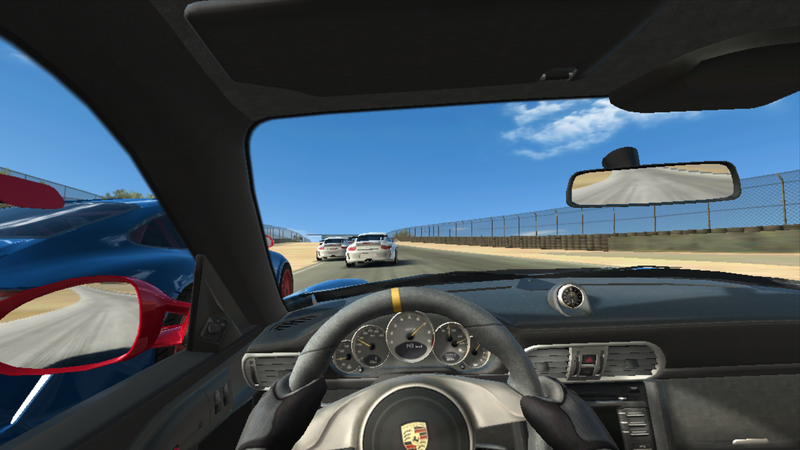 Exemplarily tested top 3D games, including Iron Man 3, Real Racing 3 or Need for Speed: Hot Pursuit, are no problem for the smartphone and run without frame stuttering or loading delays. The touchscreen responded just as accurately as the accelerometer and position sensor in every tested game and allowed very precise control. ...and Iron Man 3 run smoothly. The Optimus G Pro E986 reaches up to 40.4 °C during load. 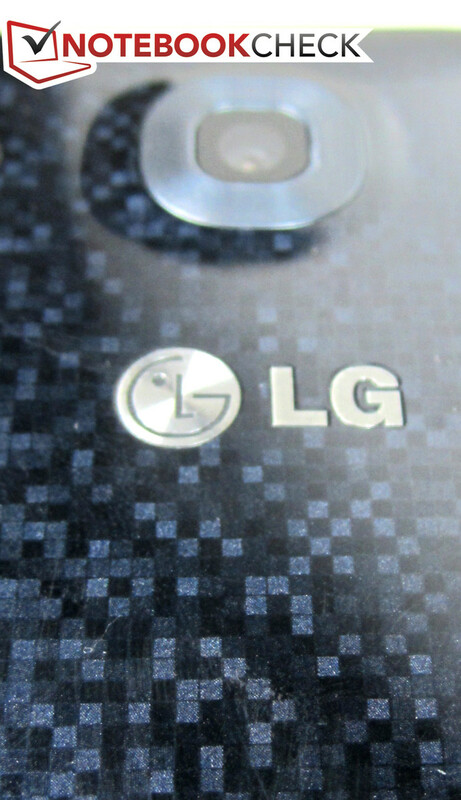 The maximum temperature is measured on the upper front side pretty much exactly under LG's logo. The back remains a bit cooler with 39.8 °C. Both rates are within a normal range and are even a bit low in a direct comparison. Only HTC's One is cooler with 36.6 °C. 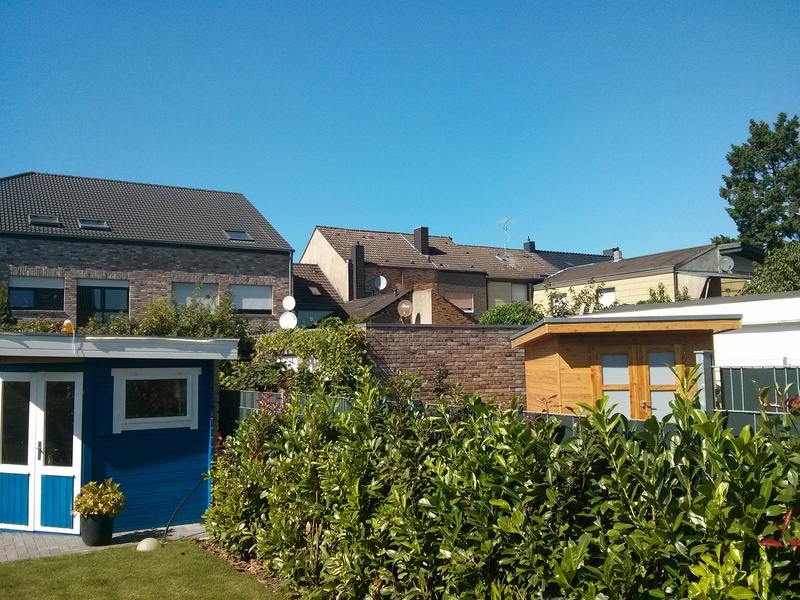 However, Nokia's Lumia 925 (47.0 °C) and Samsung's Galaxy S4 Active (44.3 °C) are perceptibly warmer. The mono speaker installed beside the primary camera of LG's Optimus G Pro E986 does not lead to rapturous applause due to its limited sound qualities. As typical for smartphones, the sound membrane does not reproduce any low ranges at all. However, it played all music pieces and sound clips clearly and did not distort even at maximum volume in the test. In contrast to that, the sound was consistently good when the included in-ear headphone was connected and the user can even enjoy stereo sound. Audio effects, such as Dolby Mobile, a bass booster or treble amplifier, can be added via the music player. 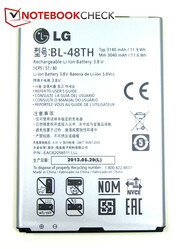 The 5.5-inch screen in the Optimus G Pro E986 alone typically consumes between 70 and 80% of the battery load in maximum brightness according to the battery status. The review sample proves to be quite energy-devouring otherwise as well. The smartphone has an idle power consumption ranging from 1.4 to 2.8 watts, which is twice as much as HTC's One with a maximum of 1.1 watts. 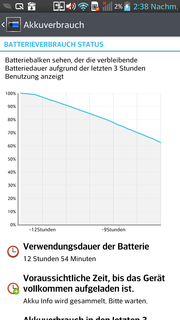 The other contenders are also more energy-efficient and, with exception of Nokia's Lumia 925 (2.4 watts), achieve an idle consumption between 1.4 and 1.8 watts. 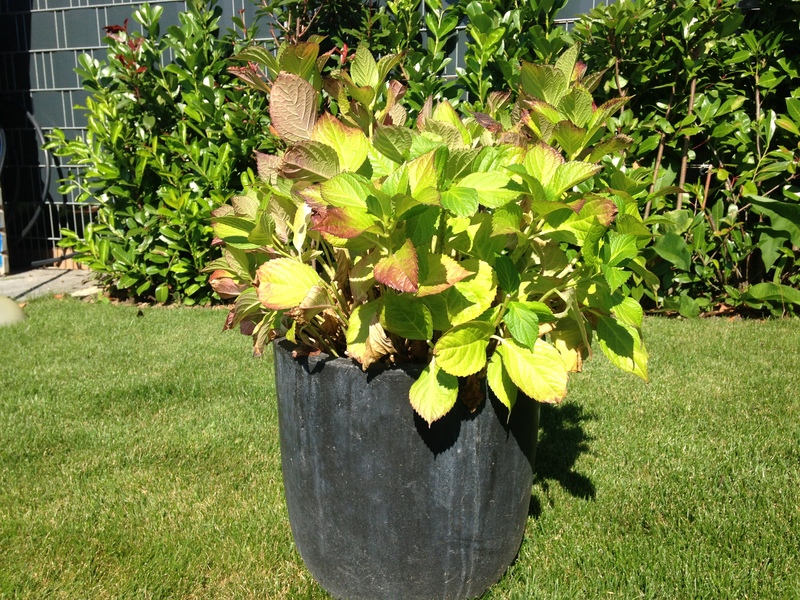 The power consumption increases to 3.2 to 5.1 watts during load and is neither exceptionally high nor low. Samsung's Galaxy S4 Active (6.5 watts) and Sony's Xperia SP (5.6 watts) consume significantly more. HTC's One (4.0 watts) and LG's Optimus G E975 (3.7 watts) prove to be the most energy-efficient devices. 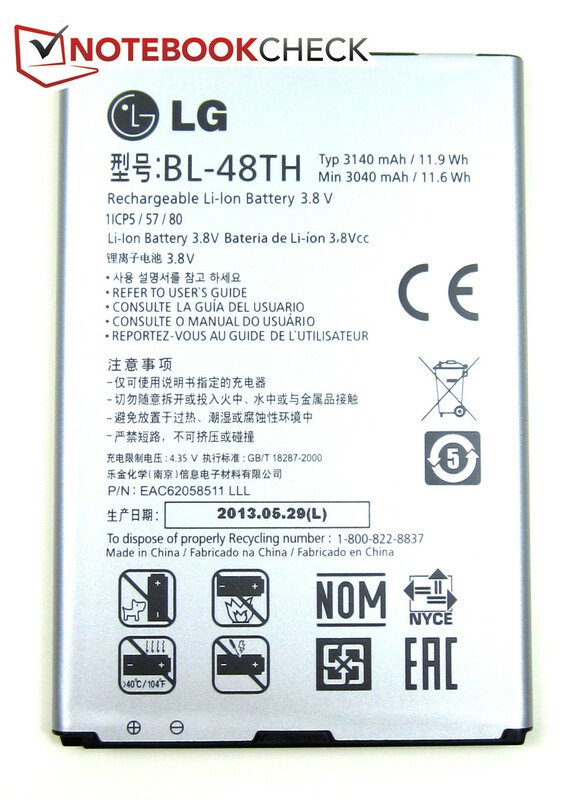 The high capacity of 3140 mAh for the battery in the Optimus G Pro E986 rouses hope for long runtimes. The manufacturer also touts that the review sample should achieve a standby time of 23 days and a UMTS talk time of a bit over 15 hours. However, as our battery runtime tests prove, the Optimus G Pro E986 is drained quite soon. 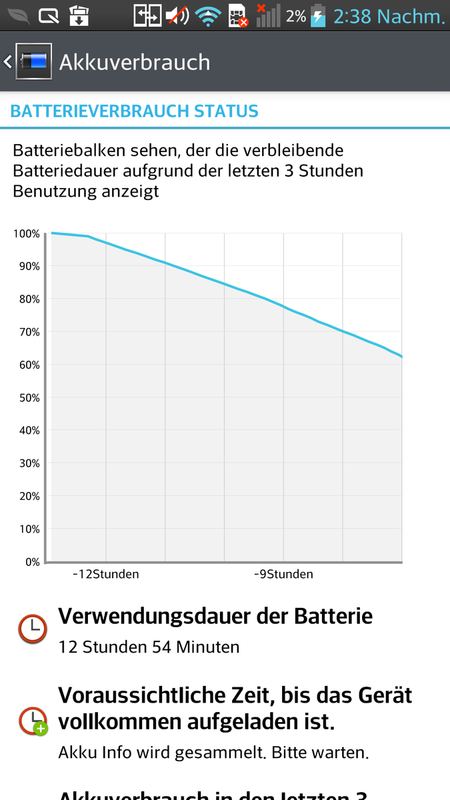 The maximum battery runtime is ascertained via a script that simulates reading a text document using minimum screen brightness, enabled energy-saving functions and all wireless technologies except for Wi-Fi off. 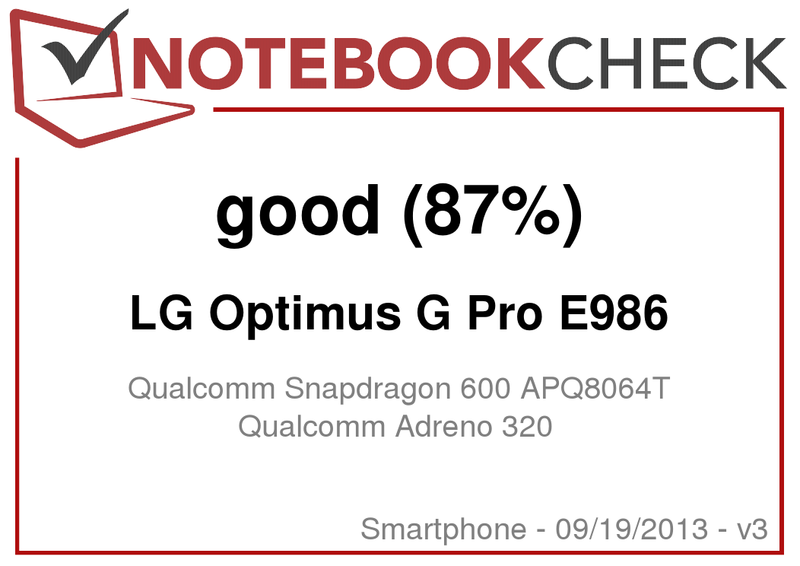 The Optimus G Pro E986 achieved a runtime of 12 hours and 57 minutes here, which is below-average compared with identically equipped smartphones. Only Samsung's Galaxy S4 Active achieves a similar time with 12 hours and 5 minutes. HTC's One (23 hours, 51 minutes), Nokia's Lumia 925 (22 hours, 43 minutes) and LG's Optimus G E975 (18 hours, 15 minutes) last much longer. The opposite is true for the minimum battery runtime with maximum screen brightness and all wireless modules on. 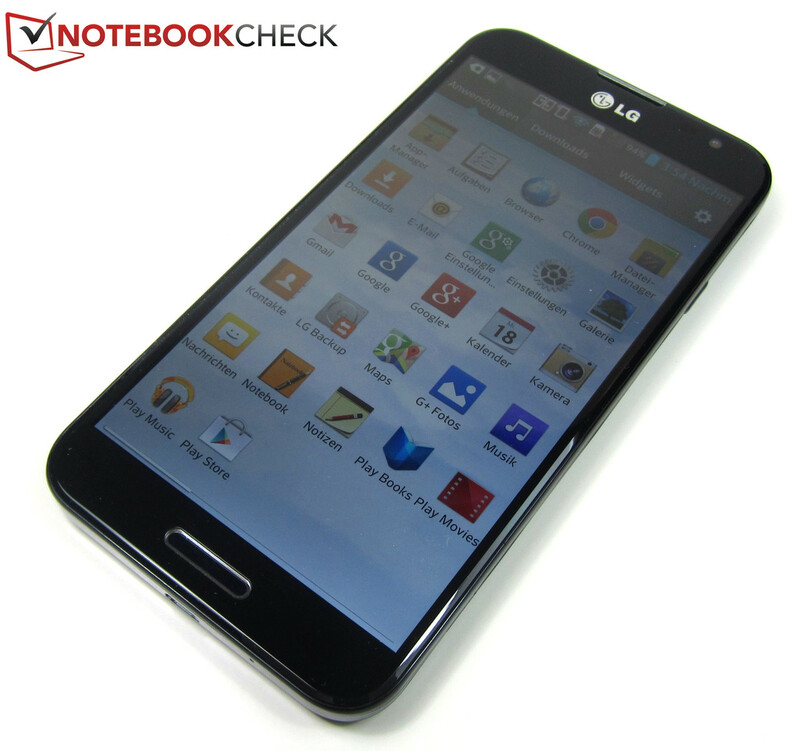 LG's Optimus G E986 shows an above-average performance with 3 hours and 35 minutes. Both Samsung's Galaxy S4 Active (3 hours, 29 minutes) and LG's Optimus G E975 (3 hours, 32 minutes) run for almost just as long. The practical Wi-Fi test using a screen brightness of 150 cd/m², enabled energy-saving modes and a script that opens websites every 40 seconds comes closest to real-life usage. 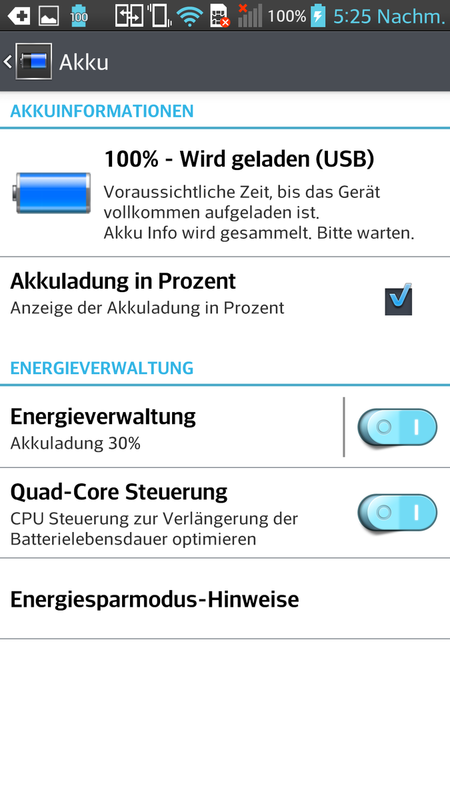 The Optimus G E986 turned off after a poor runtime of 7 hours and 45 minutes. Samsung's Galaxy S4 Active (7 hours, 2 minutes) and Sony's Xperia SP (7 hours, 20 minutes) are not thrilling either. Nokia's Lumia 925 (15 hours, 19 minutes) followed by LG's Optimus G E975 (11 hours, 10 minutes) and HTC's One (10 hours, 53 minutes) achieve a very good result. 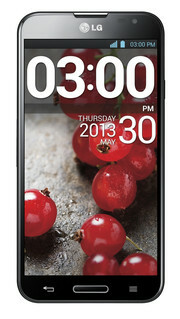 LG launches a well-designed smartphone that convinces in virtually every field or at least exhibits an above-average performance with the Optimus G E986. Highlights of the premium-range review sample are its very high-quality build, the high performance of Qualcomm's Snapdragon 600 APQ8064T SoC and the high-brightness, 5.5-inch Full HD screen with a resolution of 1920x1080 pixels. What's more, the Optimus G E986 is future-proof owing to the installed LTE chip as it allows swift data transfer rates. The generous 16 GB storage also has to be noted. Although the useable capacity is reduced to 10 GB, it should nevertheless be more than sufficient for many application purposes. 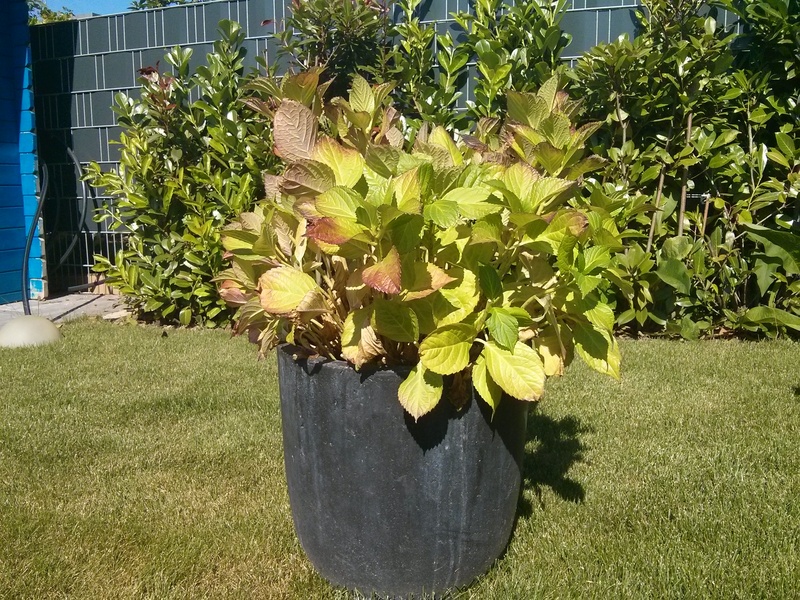 So much praise does not leave much room for complaint. In fact, our list of drawbacks is quite short. The 13 megapixel primary camera in the Optimus G E986 shoots decent pictures but the comparison with other premium models shows that quite a bit more could have been possible. Deductions are also made for the below-average battery performance that is surely primarily due to the large 5.5-inch Full HD screen. Despite its large 5.5-inch screen, the casing of the Optimus G Pro E986 is very rigid and does not allow warping. Qualcomm's high-end Snapdragon 600 APQ8064T is under the hood. The QuickMemo function enables making and saving notes directly on the screen. 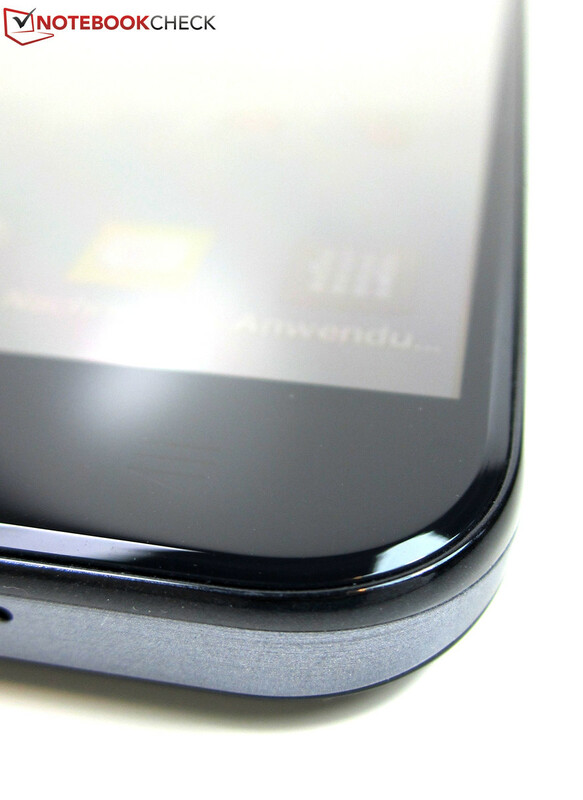 High-quality build: The polycarbonate casing of the Optimus G Pro E986. 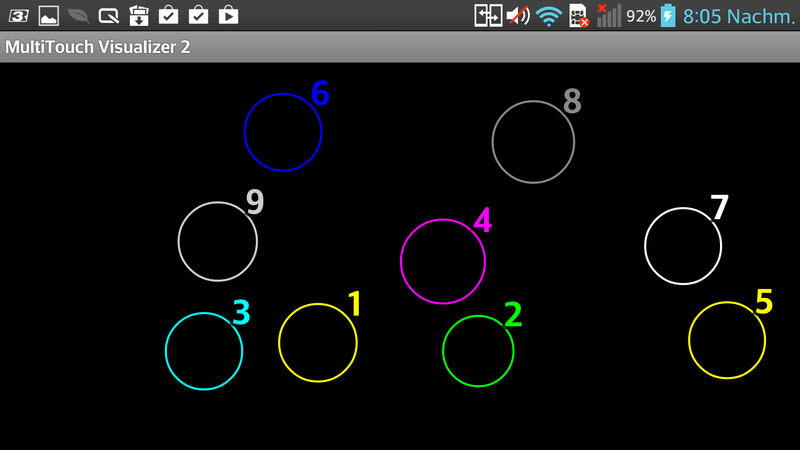 Android 4.1.2 is controlled via the three soft-keys below the screen. An MHL adapter can be connected to the micro-USB 2.0 port for streaming. A pattern comprised of many squares is visible on the casing's back. 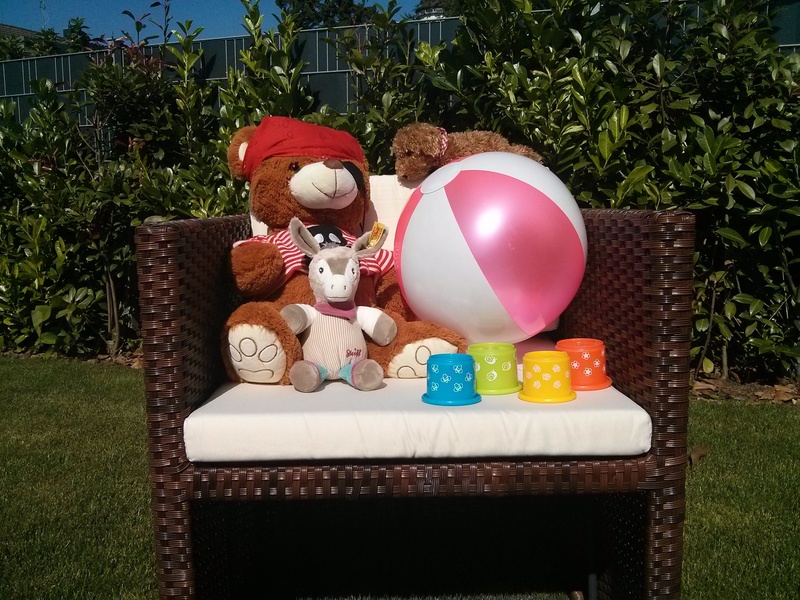 There are plenty of apps available owing to Google PlayStore access. 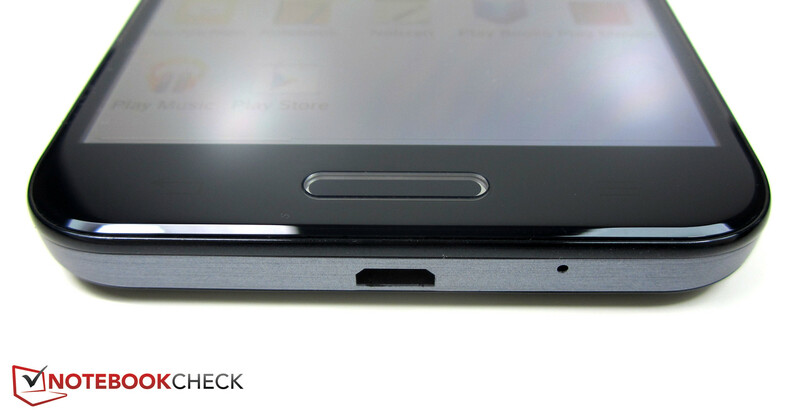 ...conceals the micro-SD slot among other things. 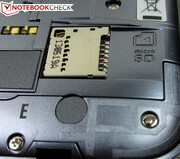 A micro-SIM card slot is located right beside it. 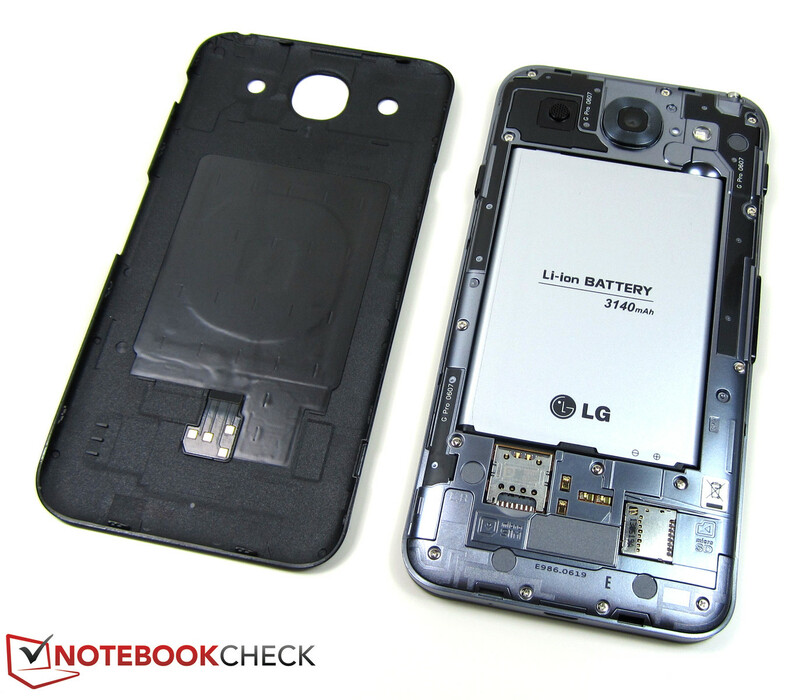 The removable battery in the Optimus G Pro E986 provides a total power of 11.9 watt hours. ...a modular power supply, micro-USB cord and in-ear headphone. The capacitive touchscreen can deal with several simultaneous finger inputs. A lot of apps are preinstalled ex-factory. There are many transition effects to choose from for switching from lockscreen to the homescreen. The repertory of functions include many energy-saving modes. 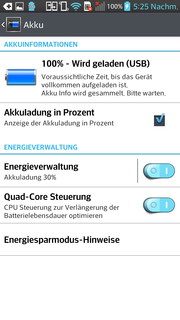 The Optimus G Pro E986's battery runtimes are below-average. The nicely comprised overall bundle. In total, the Optimus G Pro E986 is impressive in virtually every field and has really earned the label "Premium Smartphone". The installed LTE module ensures very swift browsing speeds. The strong battery specs (3140 mAh, 11.9 Wh) only look good on paper because the Optimus G Pro E986 cannot compete with its rivals. A somewhat more efficient energy management would boost the smartphone's grade. The smartphone's rigidness. 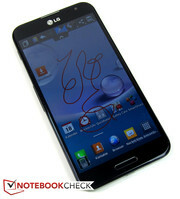 Despite its large 5.5-inch LC-Display, the Optimus G Pro E986 defies any attempts to warp or twist the casing in the test. Also, the smartphone does not produce any noises that would indicate material weaknesses.